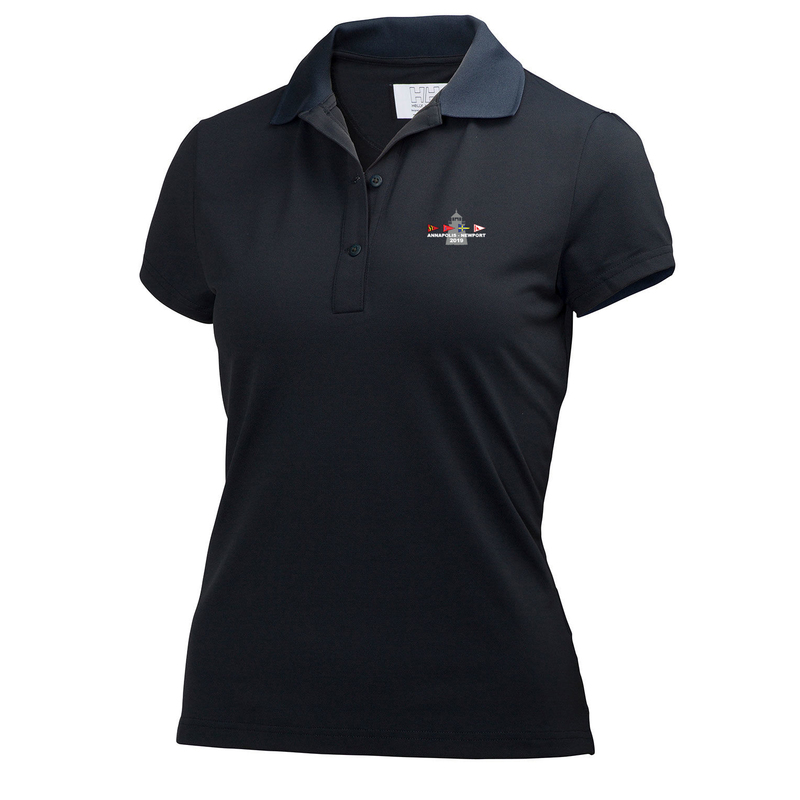 This women's Helly Hansen crew tech polo has the Annapolis to Newport Race 2019 logo embroidered on the left chest. A comfortable Tactel® pique short sleeve polo shirt for women. Classic feminine looks and nicely fitting polo for everyday use. HH logo on sleeve makes this a suitable option also for crew wear or company branding.